My art practice is inextricably tied to my personal history. Stories of family, relationships, and self-awareness generate forces of emotion–fear, hope, loss, pain, and love–that drive me through the creation of each painting. From the beginning of each piece, I lay down shapes, lines and bodies of color. As I manipulate these elements, I intuitively recognize how the correlation of these elements mirrors my interpersonal relationships. At different times these lines and forms vary in the way they relate to one another. Sometimes they hold each other, or gesture lovingly; other times they oppose each other or interact aggressively; sometimes their relationship is uncomfortable or uncertain; other times they strive for isolation. As I move through moments of personal recognition, these moments influence the formulation of the composition. 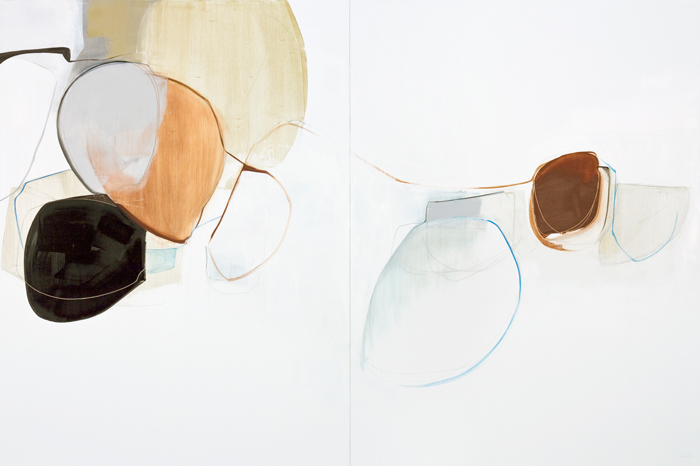 I engage in an extended series of decisions and revisions; tensions undulate on the painted surface, layers of lines, pigments, and shapes are laid down, cleared, and then selectively restored. When a painting is realized conclusively, the surface is necessarily multifarious, the reworked layers reflect my ongoing struggle to accept my history, my present, and to be hopeful of the future. This complexity of formal elements and process is present throughout my work. My aim is not only to mirror the intricacies of my personal story, but also to connect with the viewer, to echo the personal, emotional struggles that resonate with each of us, and that are present in the collective human mind and heart. 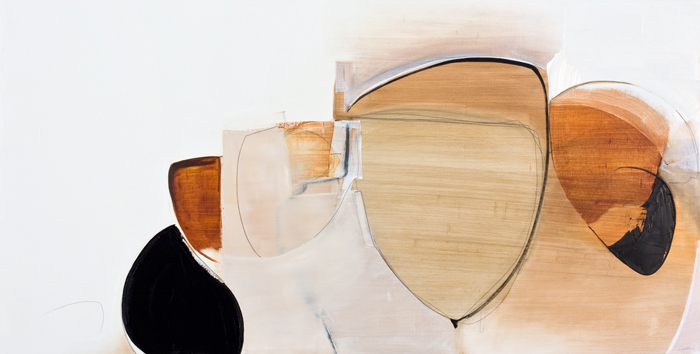 Rose Umerlik’s work is abstract with a focus on form and line. Using these elements, she captures the emotion in human relationships or stories of aloneness. 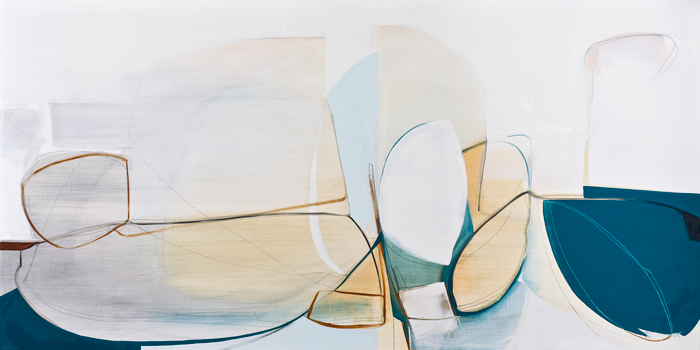 Her primary interest is in capturing the complexity of what it is to be human by mirroring that complexity in the interaction and layering of forms and lines in her work. Her larger works are done in oils, but she also creates smaller watercolors and small wood cut-outs. 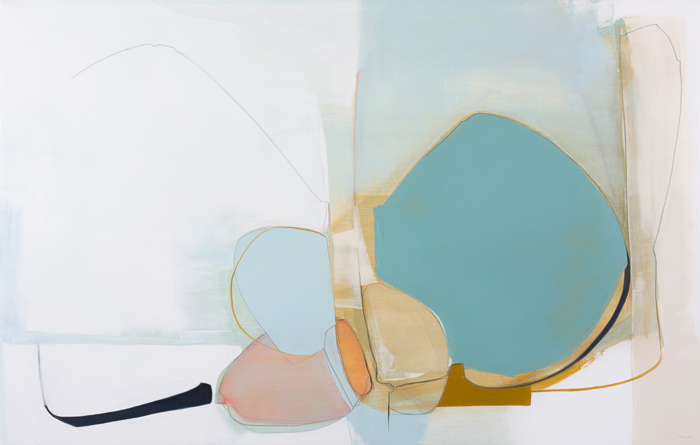 Umerlik received her Bachelor of Fine Arts from Syracuse University’s College of Visual and Performing arts, with strong influences from Stephen Zaima who impressed upon her the importance of one’s ability to self-evaluate, and the “work method”. The backbone of her studio practice is based on a strong work ethic and dedication to being present and honest with her work. 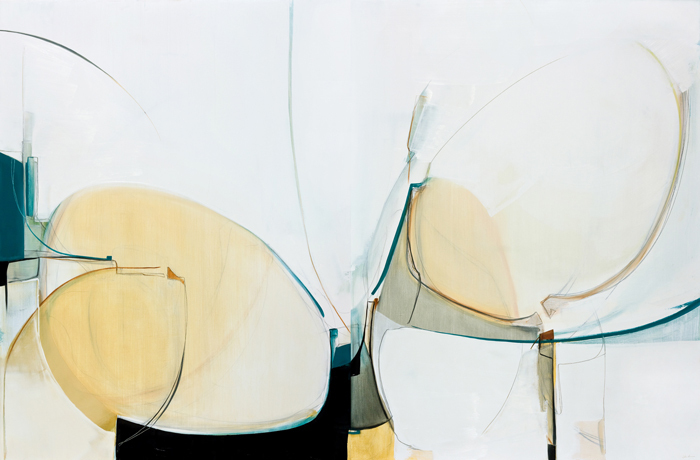 Umerlik has had thirteen solo exhibitions in New England and has been included in numerous group exhibitions across the country and internationally. Her work has been reviewed in Art New England and Artscope. She has also published two books, Intimacy of Forms and Histories. Among other awards, she has received a grant from the New Hampshire State Council on the Arts to participate in the Takt Kunstprojektraum Residency in Berlin, Germany; a fellowship to participate in the Sam and Adele Golden Foundation Residency; and a Clowes Award to participate in a residency at the Vermont Studio Center. She has also been a finalist for the New Hampshire Charitable Foundation’s prestigious Piscataqua Region Artist Advancement Grant. Umerlik lives in Jeffersonville, where she maintains a full-time studio practice.